No storytime this week (we are busy planning our spring programs!). If you haven’t signed up for the Spring Session, be sure to call the library and register as storytime begins again next week. 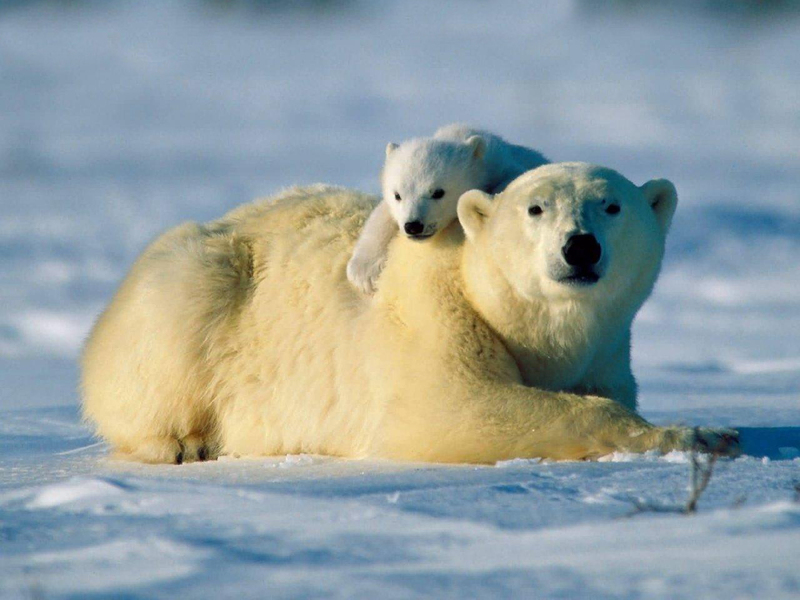 This is the second installment of “what to do when there’s no storytime.” February 27th is International Polar Bear Day, so here are some polar bear stories, activities, and rhymes for you to try on your own. Polar bear, polar bear, that will do. Polar bear, polar bear, sit right down. There are lots of polar bear activities at this website. Try some of these paper plate crafts ideas. Lots of great ideas at this website, but I really like the textured polar bear picture made with coconut. Have fun trying these activities. Remember to take pictures to show me what you tried! Or post your photos on the library’s Facebook page. Storytime starts again next week – see you soon! What to do when there’s no storytime? We are on break from our regular storytime schedule this week (don’t forget to register your child for the Spring Session, starting March 5, 2014). February is National Children’s Dental Health Month, so to keep you busy while we are on break, I have gathered a list of books all about teeth. Try checking out a few, adding the rhymes/songs, and doing one of the activities – let me know how your own storytime goes (I would love to see pictures too – either show me at storytime, or post them on the library’s Facebook page). Try making this fun (and edible) tooth & toothbrushing craftivity! Discuss healthy and unhealthy foods for your teeth with this activity. A few notes about storytime: This is our last week of the winter storytime session. Miss Lisa is taking a week off to plan the next round of fun storytimes! Our spring session will start on March 7th (in one week) – you can register for that session during our storytime this week (or give the library a call to sign up over the phone – 610-820-2400 ext. 4). I Love Trains (Philemon Sturges) – Little train fans will enjoy this colorful train story, featuring a young boy watching a train from his window. 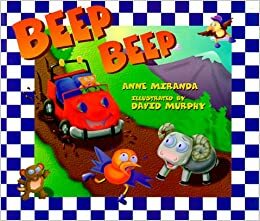 Beep Beep (Anne Miranda) – This playful and colorful book nicely illustrates a young child’s imagination while playing with toy cars and trucks. My Pinterest page has a lot of fun activities, crafts, and snacks all about things that go – check it out! This is our last week of storytime for the winter. But never fear – you can register for the spring storytime session starting this week. We will have next week “off” and resume storytime on March 6th. Be sure to visit the library even when we don’t have a scheduled program. I have a special blog post scheduled for next week to give you some pointers on what to do when we don’t have storytime. Of course, our family-friendly play space will be available for you to use during your visit. 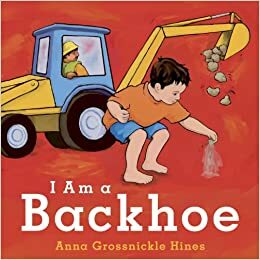 I Am A Backhoe (Anna Grossnickle Hines) – A young boy pretends to be various construction vehicles. Minerva Louise and the Red Truck (Janet Morgan Stoeke) – Everyone’s favorite silly chicken is back for another adventure. Babies and toddlers love how silly Minerva Louise can be – and really love when they are smarter than her! All is calm as calm can be. Two little boats rock to and fro. Two little boats are tossed about! Gone is the wind, the storm, the rain. Two little boats sail on again. One is red, the other is black. Chug away red, Chug away black. Choo Choo red! Choo Choo black! Don’t forget to check Pinterest for activities, crafts, and snacks about things that go! This week we will listen to stories about Wolves! – GRR! Book – Wolf’s Coming! -By Joe Kulka. It’s a story about all the animals in the forest hiding because the wolf is coming, but why they are hiding is the big surprise. Five little wolf pups were playing in the sun. This one saw a rabbit, and he began to run. This one saw a cat, and he began to chase. Book – The Wolf’s Chicken Stew by Keiko Kasza. A story about a wolf who tries to fatten up a chicken for his stew, and unwittingly makes some new friends. And this little wolf was happy all day! Book – Suddenly! 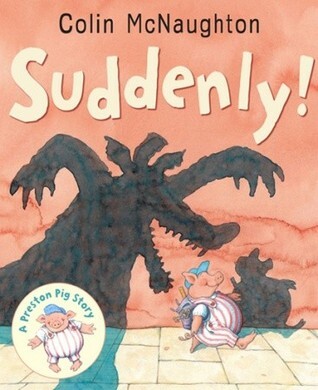 by Colin McNaughton – It’s a funny book about a large wolf that stalks a pig named Preston. But each time the wolf gets close, Preston changes his course and escapes the wolf. If you’re a wolf and you know it, do all three. 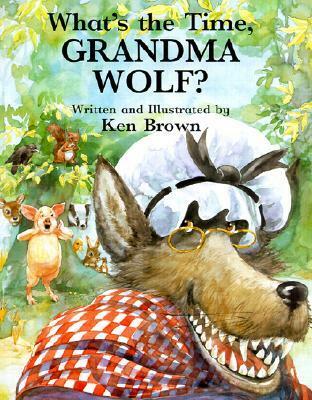 Book – What’s the Time Grandma Wolf? 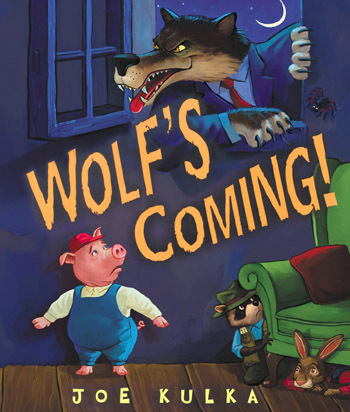 – By Ken Brown – It’s an exciting story about a group of brave, or foolhardy, little animals creeps closer and closer to Grandma Wolf as she gets down the stewpot, chops wood, lights a fire, and prepares to fix dinner, with a surprising outcome. A few “housekeeping” notes before I share this week’s program with you. Today is the last storytime for the Winter Session. Miss Lisa is taking a small break to plan the next storytime session. We will start again on Wednesday, March 5th at 6:30 pm. and run for another six weeks. Keep visiting the library while we are on break! Check out some books to do your own storytime program at home (in fact, check back here next week for a special blog post to give you some ideas), or spend some time playing in our Family-Friendly Play Space. This week we are talking about Things that Go. Cars! Trucks! Planes! Boats! A Truck Goes Rattley-Bumpa (Joanathan London) – Kids can’t get enough books about trucks, and this one doesn’t disappoint with its vibrant illustrations. If your child enjoys this one, look for other titles by the same author featuring other modes of transportation. 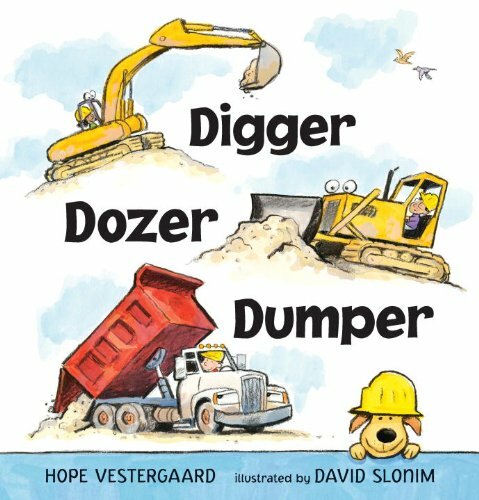 Digger, Dozer, Dumper (Hope Vestergaard) – This is a new title for me to use in storytime, so I hope we all enjoy it! This book includes 16 illustrated poems about all things DIGGER! 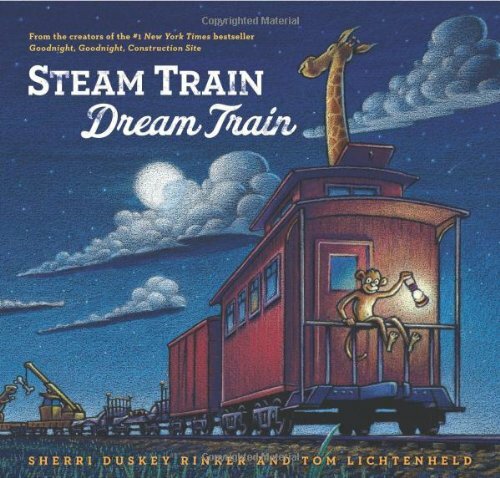 Steam Train, Dream Train (Sherri Diskey Rinker) – If you have a train-fanatic, this may be a must-read bedtime story! Soft illustrations and gentle rhymes make this a calming read-aloud. Other verses – Little Red Racecar – Vroom, vroom, vroom, vroom, vroom Shiny Rocket – 5, 4, 3, 2, 1 – BLAST OFF! As always, I have a variety of activities, snacks, and crafts pinned for you on Pinterest. Our break from storytime is a great time to try something new at home. If you try something, share it with me! I’d love to see what you’ve done. See you all on March 5th! Due to a district-wide Summer Reading Club planning meeting, we are not having our regular Time for Twos Storytime this week. We will be back on our regular schedule next week, with stories all about Things That Go. To keep you busy this week, try one of the fun Valentine’s Day activities I have pinned for you on Pinterest. There are some simple crafts, fun activities, and some yummy snack ideas.